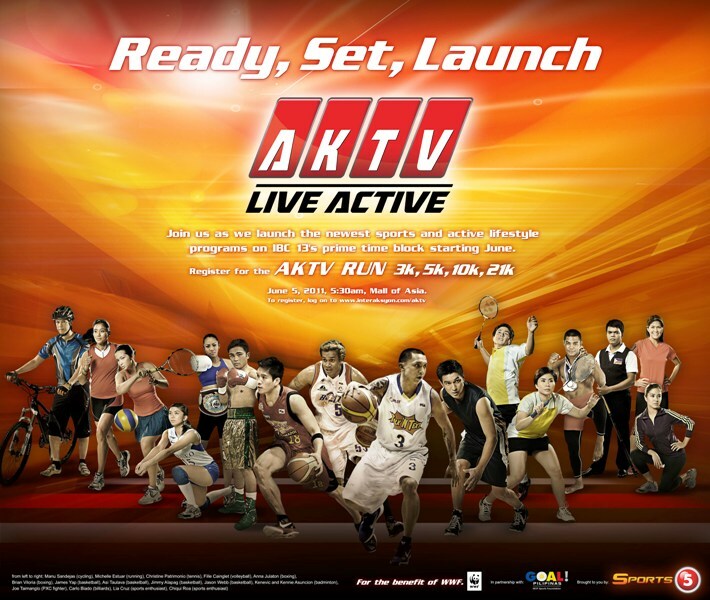 TV5 & Runrio is holding a race called “AKTV Run” to be held at SM Mall of Asia on June 5, 2011. 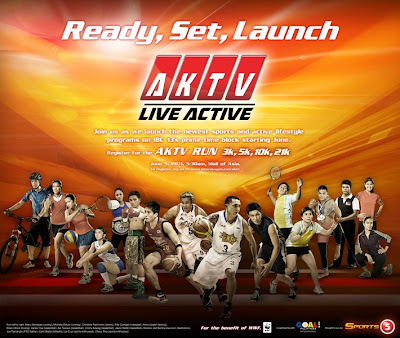 There are 4 race categories: 3km, 5km, 10km and 21km. 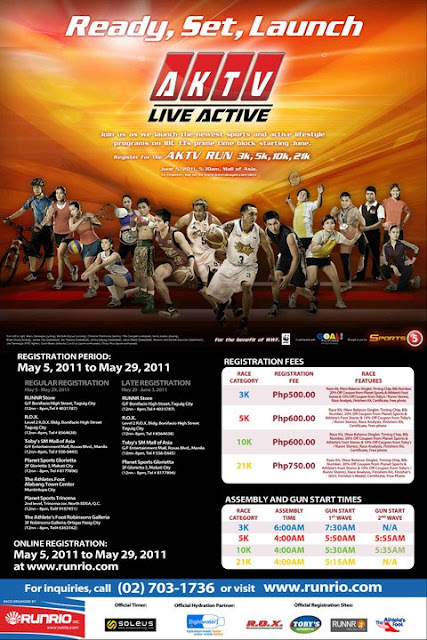 Online registration period is from May 2, 2011 to May 22, 2011 only. Delivery of race kits will start on May 9, 2011. 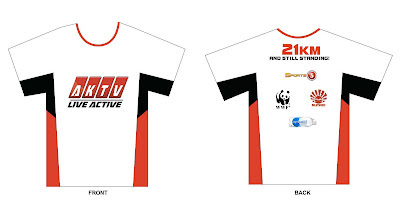 Race Features: Race kits (Bib No. & Timing Chip, Singlet), Discount coupon from Planet Sports, Toby’s & RUNNR Stor. 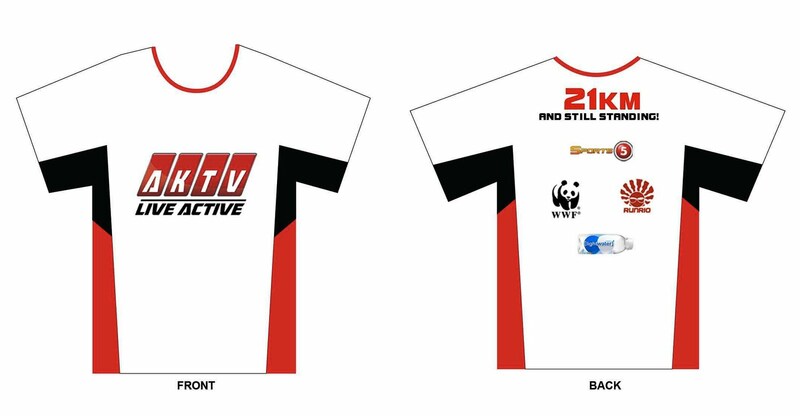 Race Features: Race Kits (Singlet, Bib No. & timing Chip, Singlet), Finisher’s Kit, Race Analysis & Discount Coupon from Toby’s, RUNNR & Planet Sports. Race Features: Race Kits (Singlet, Bib No. & timing Chip, Singlet), Finisher’s Kit, Race Analysis & Discount Coupon from Toby’s, RUNNR & Planet Sport. Race Features: Race Kits (Singlet, Bib No. & timing Chip, Singlet), Finisher’s Kit, Race Analysis, Finisher’s Medal, Finisher’s Shirt & Discount Coupon from Toby’, RUNNR & Planet Sport. - Runrio Official Facebook Page: Runrio, Inc.